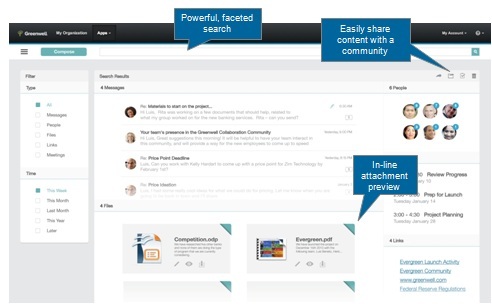 IBM will consolidate the collaboration applications under one name, “Connections.” Example, Sametime will be rebranded Connections Chat (the instant messaging portion) and Connections Meetings (the meetings portion). Based on what I heard from the Product Managers in this area during “Ask the Product Managers,” it will be some time before they start using the new branding. It will take you and I much longer. 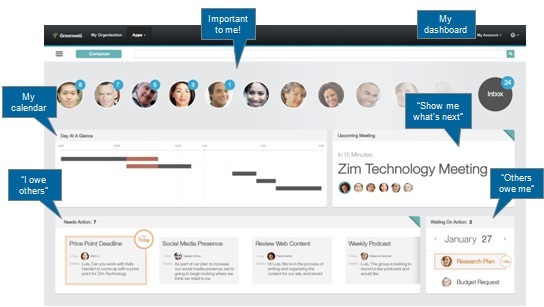 This means that the Connections bundle will include the Notes/Domino email platform, Docs office productivity apps and Sametime tools for IM, audio/video communications and Web meetings. As those products get updated this year, they will be rebranded with the Connections name and offered as part that suite, whose core ESN software lets users create employee profiles, blogs, wikis, discussion forums and the like, as well as share, co-edit and comment on files and documents. “Those products work together today. 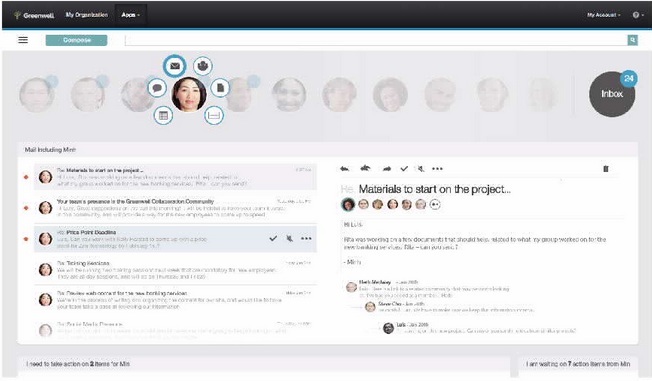 They’re fully integrated, but now the branding will provide clarity and focus and highlight all these integrated capabilities,” said Kramer Reeves, IBM Messaging and Collaboration Solutions director. Consolidating these integrated products under a single brand umbrella will help IBM show prospective customers what it has to offer against competing suites like Microsoft’s Office 365 and Google’s Apps, as well as against vendors with narrower offerings, like Box and Dropbox in cloud storage and Jive Software in ESN. File Sync which lets you synchronize files between your Connections Files repository, your desktop, and your mobile devices. You can pick and choose which files you would like to sync and differential sync is automatic to save bandwidth and time. File Sync with mobile devices is available today in SmartCloud. This is very much needed and will keep users in Connections instead of using competing products. It received a rousing round of approval from the delegates in the OGS. Coming in Connections 4.5 IFR2, Ephox EditLive. A demo can be seen here, along with additional information. Focus on user engagement. You’ll be able to personalize your activity stream and navigation bar and filter for content that is most important to you right now based on what you’re working on. Search your activity stream, set up your real-time notification center and mark favorite content. File galleries in Communities where you can preview files before choosing to download them and where you can manage, organize and share files visually. Of course, MailNext was announced. Screen shots and my thoughts can be found here. A feature in an imminent release of Domino was kinda/sorta announced at the Opening General Session. It was at the “What’s New in Domino” session where more information was shared. However, slides are not available for that session on the Connect site. Pity. Not to worry, dear readers. You download have a rather small PDF of Domino Onboarding Manager right here (see below). What is Domino OnBoarding Manager? A tool which can migrate users/groups from Active Directory to Domino and emails/calendars/contacts from Exchange/Outlook to Domino/Notes. FINALLY . . . we have a tool that will assist in the migration of Exchange/Outlook users to Notes/Domino. Perfect for those organizations that need to migrate recent acquisitions into their Domino environment. Perfect for anyone else that needs to perform a migration. Perfect for allaying the naysayers concerning the future of Notes and Domino. Unlike previous years, it has taken me longer to process what I saw and heard at Connect in order to have an opinion of the conference. Until now, when asked, “How was the conference?” I answered “good.” It was all I had. Now, I have a better answer. I believe that you have to be in denial to not get the overall direction IBM is taking with this conference and their products. Last year, it was, for the most part, the same as in previous years. It was if IBM was gently placing their toes in the seas of change. First, I was able to attend Connect with friend and colleague Barb Skedel. Together, we were able to split appropriate sessions, eliminating the whole “which session should I attend at this time” conundrum. Talk about stress relief. Second, and most importantly, I accepted a full-time position with a company that is installing and implementing Connections, WebSphere, and Sametime. Unlike past years, where I was totally focused on Notes and Domino, this year I transitioned to every appropriate session for those areas. And, if it wasn’t for Barb, I would have been very upset at missing several key sessions. This was for me, a conference exactly like the ones in the past. Full of technical content on software that I use on a daily basis; Connections, Sametime, WebSphere, and Docs. Even as an administrator, you would find me in every “Customizing Connections” session that was available. And I understood exactly what the speakers were presenting and demoing. Isn’t that scary? That should give you all you need to know about my present and future. Notes and Domino? Of course, they are my foundation and in my future. However, this conference, in those areas, is no longer the “must attend” event if you’re an administrator. [Author disclaimer: I am not disparaging those attendees or presenters who came to Orlando and spent their time and money on those sessions. Honestly, take a look at the sessions again and tell me that Connect is for you]. Take another look at MailNext. While IBM keeps telling us that it runs on Domino, most, if not all, of the features coming in that product will require a Connections environment in order to take full advantage of those features. And if they don’t with the first iteration, they most certainly will with subsequent releases. From my standpoint, that is a good thing. I want mail to integrate with Connections. Myself and my teammates have spent a lot of time getting Connections up and running and I want to leverage that investment as much as I can. Because if it integrates with Connections, then everyone will be using Connections, whether they know it or not. I was not at all disappointed in this conference; Connect hits everything that I am now and will be. If I were a Domino administrator, I don’t think that this conference would be for me. In fact, I would never return. There isn’t enough content to make the conference worth the time or money (seeing my friends, that is another matter entirely. I would still “attend,” I would fly down on Thursday or Friday, stay the weekend, and fly home on Sunday night). Domino development? I really don’t know enough about Domino development to make a judgement. Since the business unit can maintain profits with little maintenance or investment, a cash cow can also be used to describe a profitable but complacent company or business unit. The place where IBM wants you to go, is exactly where I am going. And I feel fine. One of the side benefits to attending Connections/Sametime/WebSphere/Doc sessions is that everyone was a new speaker to me. One of the side benefits of not attending Notes and Domino sessions was that I did not have to see the same speakers I’ve seen at more Lotuspheres/Connects that I care to admit. Oh, there is no doubt that they are very good, excellent, in fact, however I’d like to see some new people present. No, I’ll go even further; I’d like to see all new speakers in every Domino session (administrator and developer). Don’t you think that seeing the same people present at the same conference year in and year out is getting tiresome? Want to not have my thought come as a shock to the system? Try this: co-present with the person that will replace you. Then, the following year, take a seat in the audience while your protégé runs the show. While I wait for that, I’ll just continue to support the regional User Group conferences to see new speakers and topics. I’ve transitioned from a Notes/Domino Administrator to a Connections/WebSphere/Sametime/Docs Administrator and quasi-developer (you need to customize Connections, after all). Lotusphere transitioned from Notes and Domino to Connect and Connections, Sametime, WebSphere, and Docs. Connect 2014 was exactly what I expected and wanted from IBM. Even in the labs, with the exception of the MailNext in theDesign Lab, I spent all of my other time with the Connections, Sametime, and Docs people. I didn’t even stop by the Notes/Domino pedestals. Even in the Product Showcase, most of my time was with vendors who are investing in and developing applications for Connections and Sametime. During the OGS at Connect 2014, IBM demonstrated the next iteration of, what can be described as, the next release of Notes. It’s called “MailNext.” While the OGS gave a fairly good overview of the interface, it was when I took the time to visit the Design Studio UX Lab that I received a much better view of MailNext. The pictures below the search bar are of people who you are interacting via e-mail. The floating numbers show you the number of messages from that individual. At a glance, you see everything you need for the day. I think that one of the better features is in the lower right. There, it tells you who owes you something. For example, if you assigned a “To Do” or a task. Better, it also shows you that you are waiting for a reply from someone, where you asked for something. I think that this is a great tool for managing your peers and managers. Some of the little pop up menu items are mail, calendar, chat, share. As you have selected the individual, you see the interface change to be person (or “context”) sensitive. In the above screen shot, you see that you get a “what’s new” view, where you can view mail, mail threads from that person or that include that person. 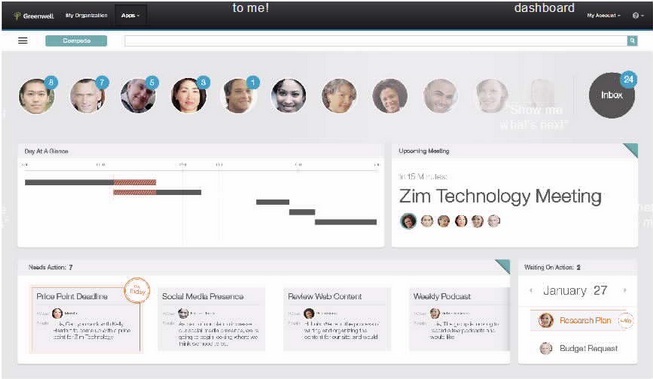 On the right, is a “team view,” where that person is included in some sort of project with you. And, in the upper right, you see that you still haven’t read 26 messages in your Inbox. Initial thoughts: While I spent quite some time with a developer in the lab, I was getting the feeling that this interface isn’t totally fleshed out. IBM has some ideas on what they want it to do, however they were very curious as to what I thought some of the icons should mean/do. For example, if I were to hover over a person’s image, and get the mini menus, I expected that if I click on the envelope, a new message would be created, populated with that person’s e-mail address. Or, see all mail that I received from that person. And, I discovered that only certain parts of the interface work. Click on something, like “Compose,” and nothing happens. That’s one way to make sure everyone that demo’s the software, from the OGS demo, to the breakout sessions, to the Design Lab, communicates the same message. It also showed my naivete toward demos; I thought it was a fully functional demo. Next, I didn’t get the feeling that proposed delivery dates for MailNext will be met. To me, there is still a lot of work to be done. And there wasn’t any mention of what needs to be done to the back-end Domino server (other than upgrading it). Finally, if most/all of your users are running the IBM Notes client, you better start thinking about the ramifications of most/all of your users running mail in a browser. Relive the Connect 2014 OGS . . . In Cleveland! Truthfully, not all of the Connect 2014 Opening General Session. Only the first bit. And this time, there will be a mosh pit (enter at your own risk). 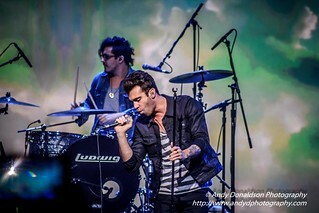 If Cleveland is not on your travel plans, you can meet up with American Authors by checking out their tour schedule. I’d like to say that for the Domino Administrator will be a plethora of sessions that you “must see” (meaning several blog posts on the topic). However, if you’ve seen the writing on the wall, then you’re prepared to attend a profusion of sessions on Connections and Sametime administration. Here are some of the “must see” sessions for Domino Administrators. Was your environment designed almost a decade ago? Whether you want to move your email to the cloud or if you are just trimming the fat, consolidation is your future. This session covers details of collapsing multiple domains into a single domain infrastructure that is easier to manage and more efficient in costs and operations. Discover tricks and tips learned by experience to move users and servers into a single domain where best practices are implemented from start to finish. Well cover consolidation methodologies that are low risk with solid back-out plans and high rewards that will make you a superstar of infrastructure. Come to this session and get expert advice from the folks in the trenches who have consolidated dozens of domains. It’s time to release the power! IBM Notes has outstanding capabilities that ensure your social transformation starts from your inbox. We’ll demonstrate how to take advantage of all of these features to improve your IBM Notes literacy, boost productivity, locate expertise, find relevant information, share knowledge and collaborate – straight from your Inbox. Don’t miss the “IBM Notes 9 in 9 Minutes” demo so you can go back to your users and blast them away with the power of the amazing IBM Notes client. IBM Traveler is mission critical. There is no good time for maintenance when it comes to mobile devices. In this session you’ll learn how to install IBM Traveler 9.0.1 in the classical and high availability mode. You’ll also understand the new functionality, differences and benefits. This session will cover requirements, functionality, setup of the IBM Traveler server on Windows and Linux connected to the current DB2 10.1 back-end. We’ll cover best practices including performance tuning tips for IBM Traveler on Windows and Linux and migration scenarios. Sit down and strap yourself in for the annual Adminblast session! We’ll revisit the 200+ tips given and we’ll pick the top sixty. We’ll cover the top tips taken from the trenches over many years of consulting, covering IBM Domino, IBM Sametime, IBM Traveler — and more! Practical tips that you can use as soon as you get back to work will be emphasized, You must pay attention — and you must listen fast! IBM Domino Policies are a powerful tool that can be used to administer anything from ID vault to mail managed replicas. However, the flexibility of policies often causes confusion regarding their use. This session will focus not on the settings themselves, but the overall application of policies. Learn how policies actually flow throughout a domain, best practices on how to reduce the number of policies in your environment, how to troubleshoot problems, and how to use policies when using IBM Smart Cloud Notes. Why release 9.0.x? Get a head start on your upgrade plans by listening to the development team share their experiences upgrading IBM Notes Clients and Domino Servers to Release 9.0.x in their production domains. We’ll cover general recommended best practices and also discuss enablement of some of the new exciting features in release 9.0.x that you’ll want to take advantage of right away. We’ll riddle the presentation with FAQs about upgrading, new features and lessons learned with release 9.0.x. You’ll walk away with information helping you expedite your own 9.0.x production deployment. 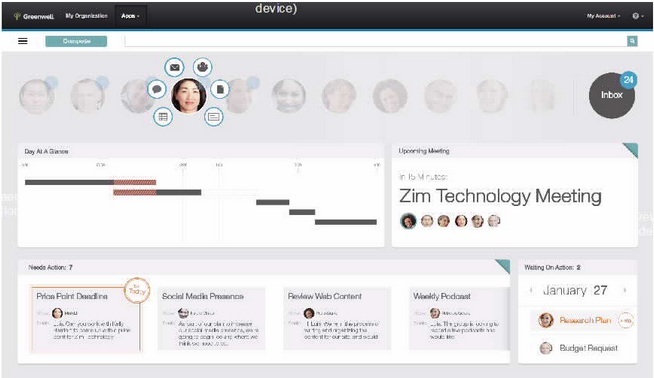 IBM Sametime 9 is here! This session will help administrators understand how to upgrade and migrate from previous releases. Included will be discussions on end user data migration as well as architectural reviews. This session will cover best practices for deploying and maintaining IBM Notes Traveler along with how to troubleshoot many problems yourself and get the best, fastest support should the need arise. Topics to be covered in depth will include: system/capacity planning, handling maintenance, monitoring your IBM Notes Traveler servers, cloud administration, and general do’s and don’ts to avoiding common pitfalls. A must attend for all IBM Notes Traveler administrators! As a Northerner, nothing makes me laugh more than seeing the Disneybots in full winter gear on days where I am wearing a t-shirt. Yes, I get that the mornings (and evenings) can be “chilly,” but they come out in fleece, gloves, and hats when the temperatures dip below 70°F. The main days to watch are Sunday and Tuesday, when major events take place out of doors. However, remember, you will be outside as you travel from one hotel conference center to another. To help you navigate the parks on those chilly days, here are some tips for visiting the parks when it’s cold. Thanks, Barb, for the weather forecast.